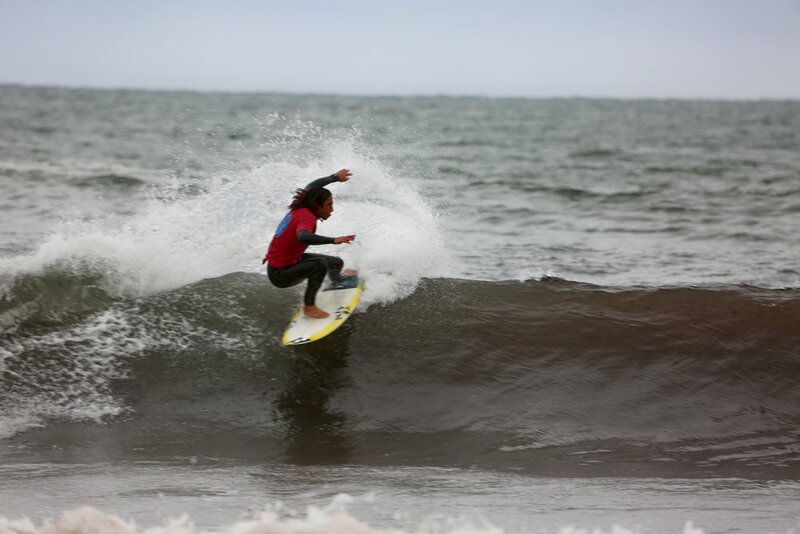 The Water Brothers Open PRO in Memory of Ryan Roberts was held on Saturday, October 22nd at Second Beach, Middletown Rhode Island. The contest brought together crowds of spectators lining the seawall, and packed under tents due to occasional rain squalls. 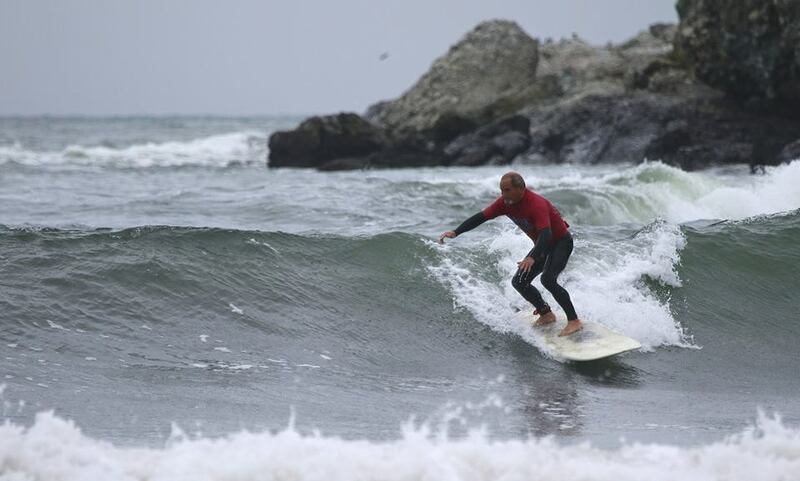 The 48 Contestant lineup included top surfers from the area with half the lineup traveling from New Jersey to Maine. Five judges sat upon the big rock at the popular "Surfers End" beach where a tent was placed for prime visibility. 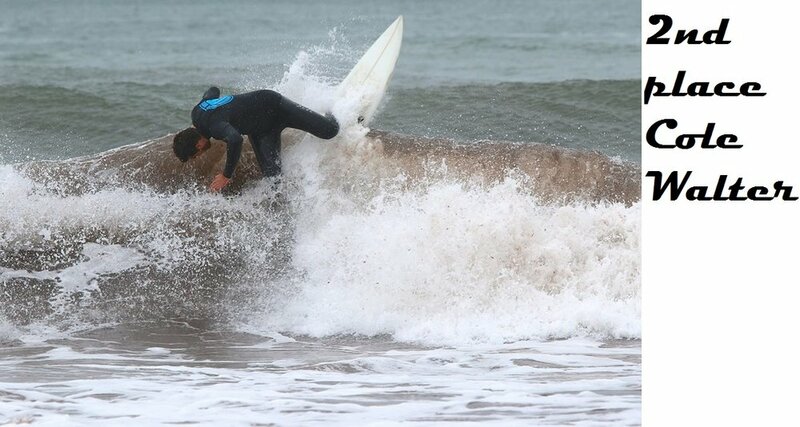 Locals called conditions some of the best of this summer with 3 to 5 FT waves holding till the final. First heat entered the water at 7AM and by late afternoon it would be Billabong rider, Rob Kelly of New Jersey who was crown champion after surfing the best and most consistent all day. 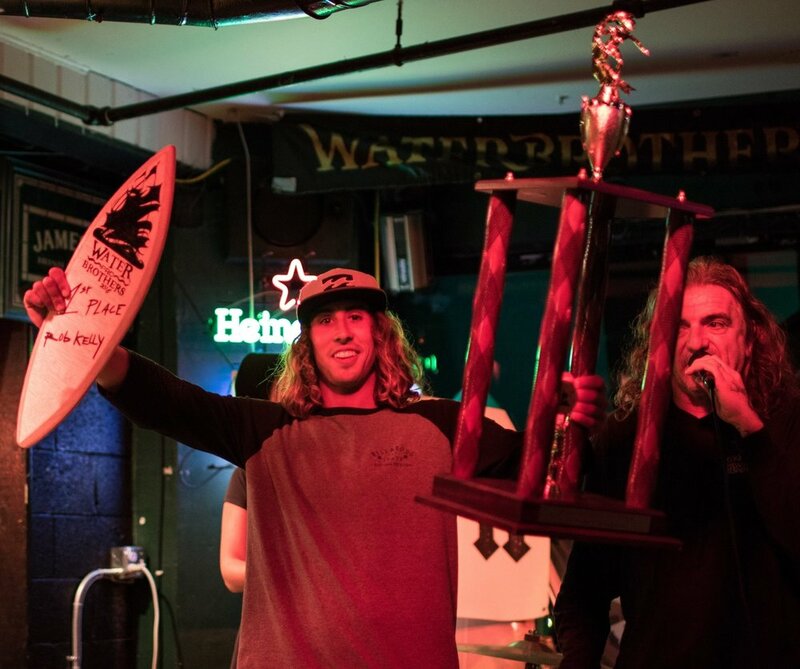 Kelly surfed and won all five of his heats bringing him to the stage at the Awards Ceremony to take home the title of Water Brothers 1st Open Pro Champion bringing home $2500 and the large trophy! 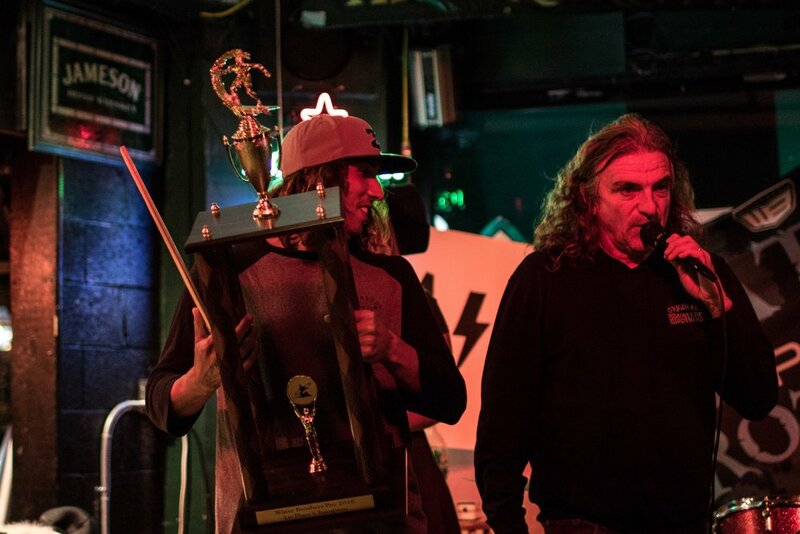 2nd Place and $1000 went to Cole Walter of Waimea, Hawaii / 3rd Place and $700 to Cinnamon Rainbows Perry Reynolds of Hampton Beach, NH/ 4th Place and $400 to Living Waters Surf Shop owner Chuck Barend of Little Compton/ 5th Place and $200 to Waterbrother and Cannibal Surfboards rider Brian Burns of Newport, RI / 6th Place and $100 to Waterbrother and Tora Surfboard rider Justin Casey, RI and a tie for 7th Place with Hyperflex rider Ben Gravy of New Jersey and Ripcurl Levitate Surf Shop rider Robbie Goodwin, Cape Cod for the win. 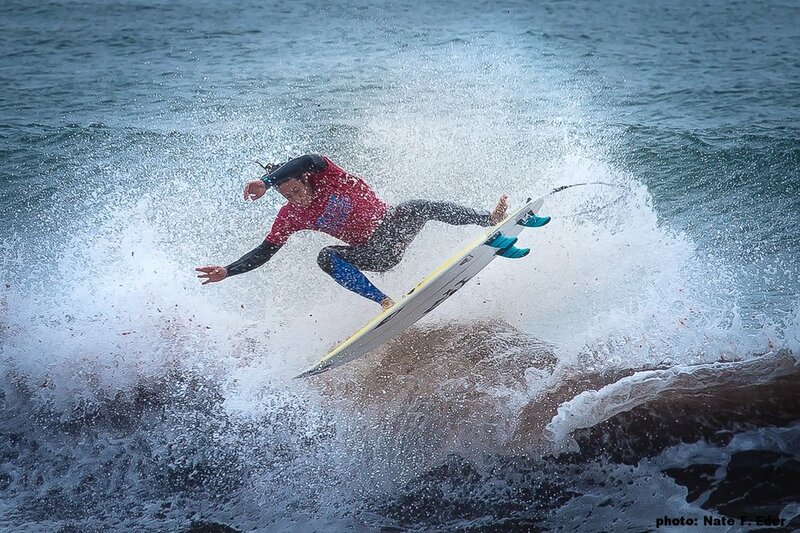 The WB Pro Invitational AM-JAM ran in-between heats and included surfers from all over New England. 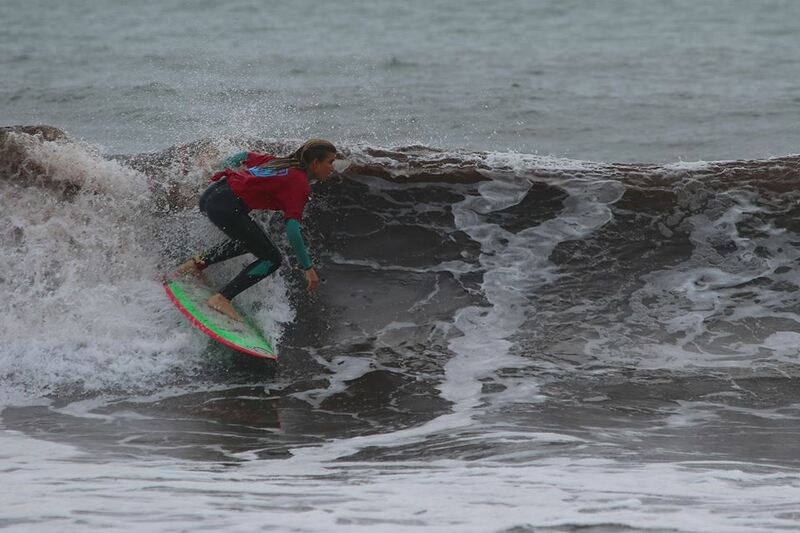 Maria Barend of Living Water Surf Shop, Little Compton won the shortboard division crowning her Shortboard AM-JAM Champion, and a high performance Tora Surfboard as prize. Just prior to the Finals longboarders paddled out for their long awaited heat. It would be Stephen Melidossian of Narragansett, RI walking away as Longboard AM-JAM Champion winning a custom shaped longboard by Cannibal CoreVac Surfboards as prize. 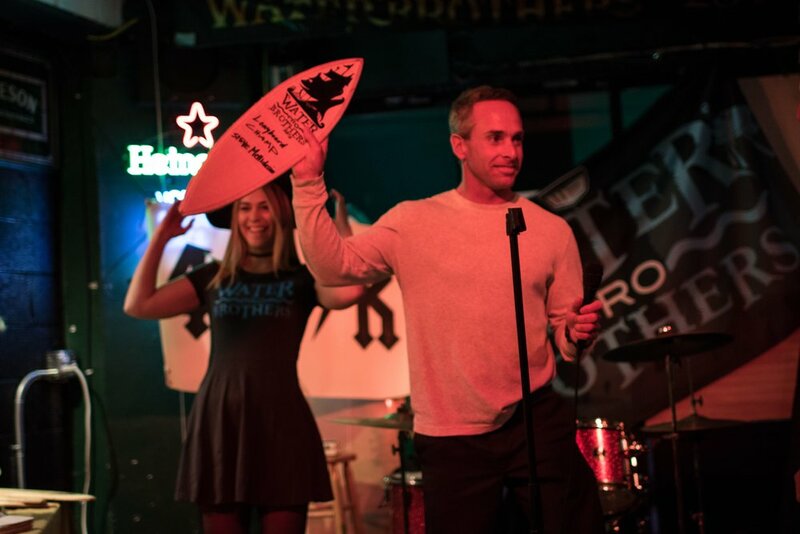 Contestants and those who cheered them on attended the WB Pro Awards Ceremony where Sid Abbruzzi, Water Brothers founder and Host to the Open PRO announced winners and passed out prizes to the energetic crowd. 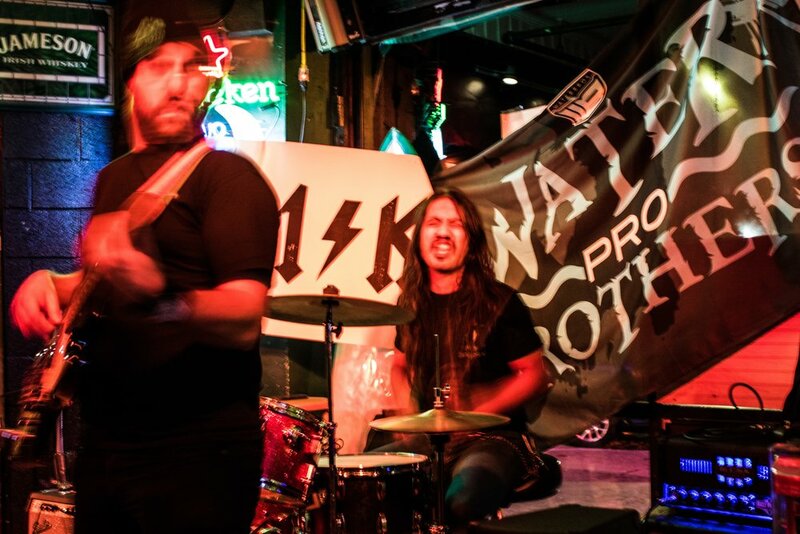 Contest posters, flags and surfboards became the backdrop for surf band "Z-Boys" who delivered a rocking set into nights’ end. 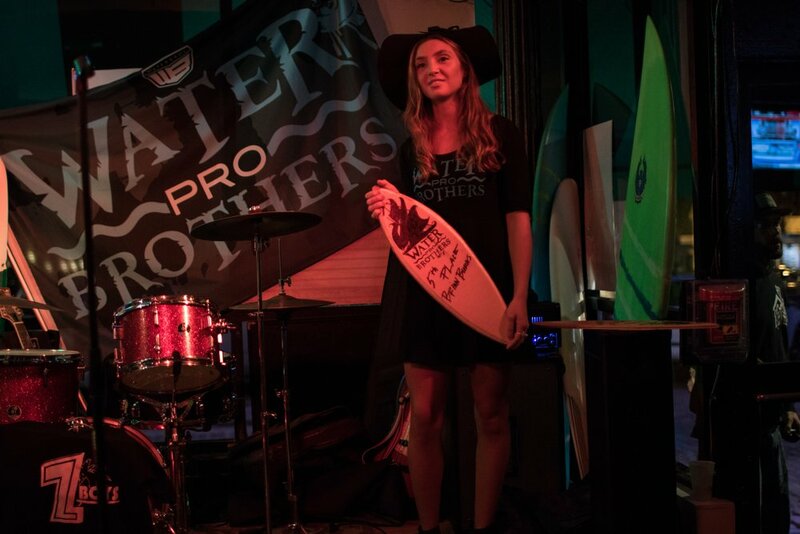 WB Pro Directors, Sid and Danielle Abbruzzi plan to run the event annually as one of their Water Brothers calendar events. Contact Danielle Abbruzzi at originalwaterbrothers@gmail.com for more details.